The Gardena smart Sileno life 1250 is ideal for the use on lawn areas up to 1,250 m2maximum. With its strong lithium-ion battery, it manages gradients of up to ±30 % or about 17°. The robot can also be used well at night due to its low working volume. The so-called "smart Gateway" (included) makes it possible to control the robotic lawn mower via app for smartphone or tablet or via a computer. The Gardena smart Sileno life 1250 can be combined with all Gardena smart System products. Smart home was yesterday. The future is a smart garden! The Gardena smart App can be downloaded for free from the App Store (iOS) and Google Play(Android). For the robot mower, up to three starting points independent of the charging station can be defined. 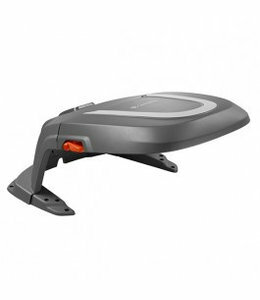 The remote start function regularly guides the robotic lawn mower in hard-to-reach areas of the garden. Thus, ancillary areas, which are only connected to the main surface through narrow passages, are optimally maintained. The result is a consistently uniform cut. The lawn robot is equipped with the so-called "EasyPassage" function. The function allows it to recognize narrow passages and adapt its navigation style accordingly. This enables the robot lawn mower to travers difficult passageways quickly and efficiently without leaving traces on the ground. The robotic lawn mower can automatically adjust its mowing frequency to the grass growth. This is ensured by the so-called "SensorCut" function. During dry periods, the robot mower reduces the number of mowing operations and increases them again when a lot of rain falls and the grass grows faster. Your lawn receives a care that is exactly adapted to the weather conditions. You can program certain mowing hours for your robotic lawn mower via app or via the user-friendly LCD display. The robot mower mows reliably when you want it to. Even in the rain. When the battery is low, or when the robot has successfully completed its mowing cycle, it returns to the charging station. There he recharges its battery. The lawn robot navigates at random. Little by little, it reaches every part of the garden. Three sharp, rotating blades cut the grass. With the Gardena smart Sileno life 1250, the cutting height can be adjusted between 20 and 50 mm, depending on requirements or personal preferences. The fine grass remains fall to the ground as mulch. There they are decomposed over time. This provides the soil with moisture and important nutrients. The quality of the lawn improves significantly, the grass grows densely and shines in a rich green. The Gardena smart Sileno life 1250 is equipped with various safety sensors to ensure safe operation. Using a collision sensor, the robot lawn mower recognizes when it encounters an object or obstacle. Then it changes the direction. When lifting or tipping over the device, tilt and lift sensors stop the knives immediately. A PIN code serves as a child safety lock and protects against theft. The robot lawn mower is installed and ready for use in just a few steps. All major accessory parts for installation are included: boundary wire, cable pegs, cable connectors and a helpful user guide. The Gardena smart Sileno life 1250 is extremely lightweight and handy at only 8 kg. 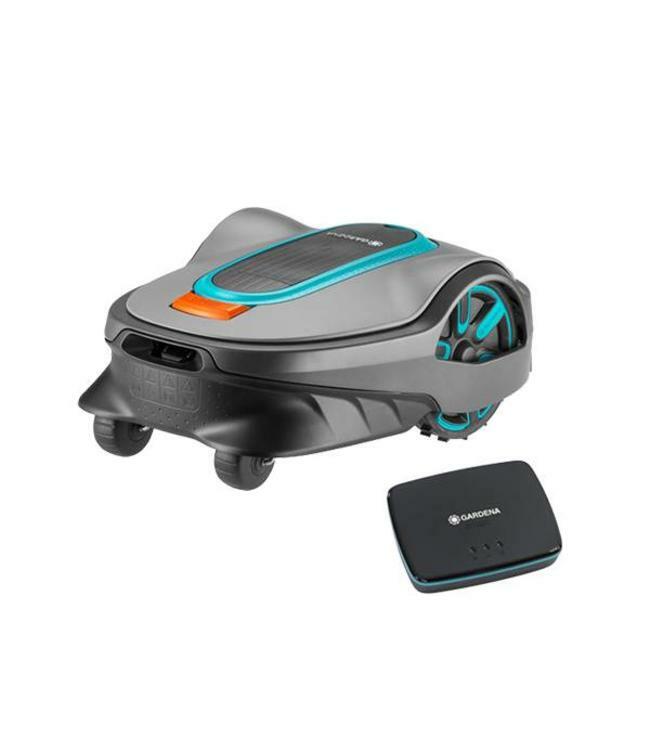 Unlike most other robot lawn mower models, this model can easily be cleaned under running water, for example with the hose, according to the manufacturer. This makes the maintenance particularly uncomplicated, the device is quickly clean again.